California's first State Interagency Council on Homelessness meeting. We often say that the “magic sauce” in our work to end homelessness is when the policies and actions at the local level line up with and fully leverage what is happening at the state and federal levels. One mechanism that Governors can use to drive this type of strategic collaboration is State Interagency Councils on Homelessness. Set statewide goals and don’t be afraid to be ambitious. Develop structures to support the operations of the Council, such as sub-groups focused on strengthening policies or interagency working groups that dive into specific populations or tasks. Ensure that all meetings provide for decision points that allow members to discuss and vote to adopt actions and strategies. Use data to drive action. If data indicates that something isn’t working, pivot quickly and make needed adjustments. Track how new money is spent and the desired outcomes. Ensure that the Council charges department heads or key representatives to make decisions and drive action: Mirroring the structure of USICH, state councils can call for department heads or key decision makers of state systems to sit at the same table to work on change that aligns department policies, reduces duplication, streamlines funding, and uses data to measure progress towards the common goal of ending homelessness. Align funding, resources, and initiatives to maximize impact: As the state identifies funding or implements new initiatives, it is important that the new resources and efforts are aligned with other local, state, and federal funding to maximize their impact. For example, track the preservation and creation of new affordable housing units and directly connect them to services, rental assistance, and coordinated entry systems to increase the inventory of units that are part of the state's response to reduce homelessness. Utilize technical assistance: Provide technical assistance, including accessing federal technical assistance, to address gaps and improve systems. For example, the learnings from new HUD-funded Youth Homelessness Demonstration Projects, which are receiving technical assistance from HUD and the Department of Education, can be shared with other communities to help shift policy statewide. For other youth initiatives, see Advancing an End to Youth Homelessness – Federal and National Initiatives. Foster stronger partnerships with national and federal agencies: Use federal, state, and local partnerships to demonstrate unity and support. 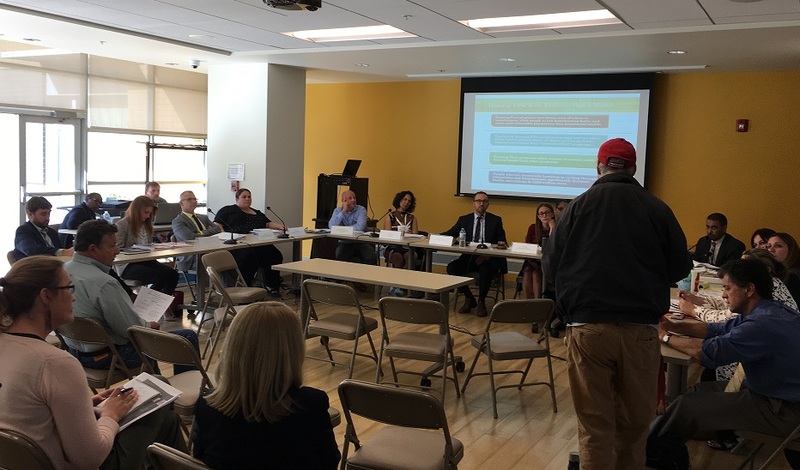 For example, there are Federal Regional Interagency Councils (FRICH) on Homelessness in all 10 federal regions that are eager to connect with local and state efforts. To find out how to connect with the FRICH for your region, contact your USICH regional coordinator. Use the convening power of the Interagency Council: As a group, host partners across sectors to increase dialog on key issues, advance and amplify progress, and align strategy. Engage trade associations and leaders in housing and related fields in the effort to draw from their knowledge and networks. Provide clear guidance and policy: Issue official guidance or informational memorandums that provide direction and promote accountability in the implementation of state funding and programs. Examples of federal policy guidance and tools have been compiled in the tools database on the USICH website. Develop a solid communications plan: Coordinate and disseminate shared messaging from state officials and agency leadership to drive action. This could include promoting key innovations and promising practices that can and should be replicated. At USICH, we are often highlighting the innovation and strong leadership in states to amplify their great work, help communities connect as peers, and share lessons learned. We are excited to be helping state leadership – including Governors, other elected officials, and department heads—align systems, foster innovation, and measure progress to end homelessness. It has never been clearer to us that the state and federal systems that touch people’s lives must work together with urgency to prevent people from entering the crisis of homelessness, and if they do become homeless, to make sure that it is a brief and one-time experience.